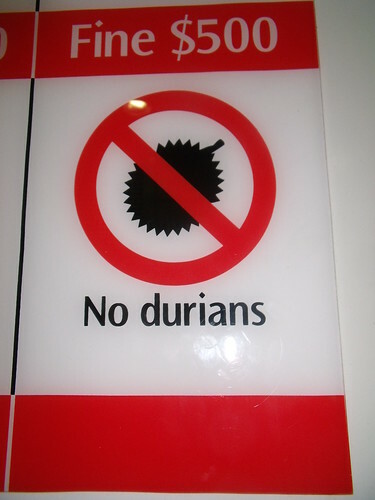 Durian. Aka the “King of Fruits”. Aka the “Stinky Fruit”. The descriptions precede this fruit. The fruit, despite being very popular to eat in Asia, has been banned from many public places including public transportation. I’ve heard the smell compared to stale baby’s vomit, rotting corpses and a sewer. So of course we had to summon some courage and try this thing. 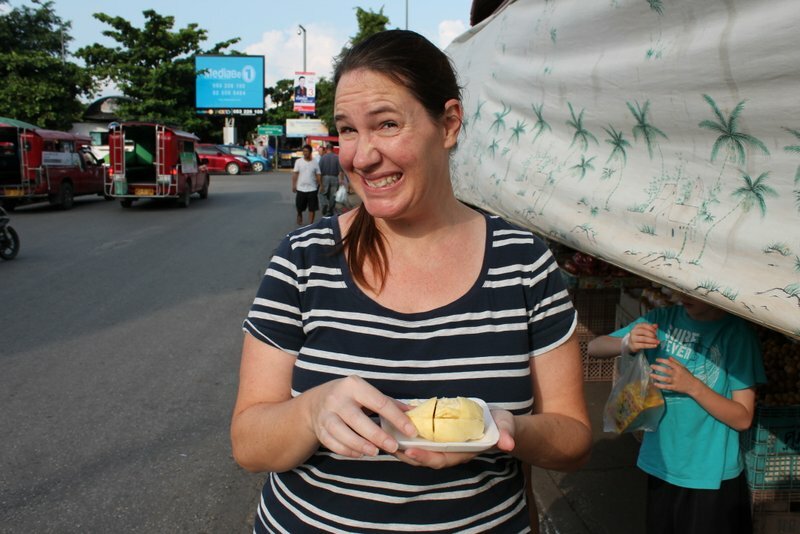 I will say that I discovered the smell of durian over the course of a few weeks. I’d smell this nasty stench kind of like a mix of sewer and rotting fish as we’d walk around. It took me a while to realize that I was smelling it whenever I walked by a durian cart. 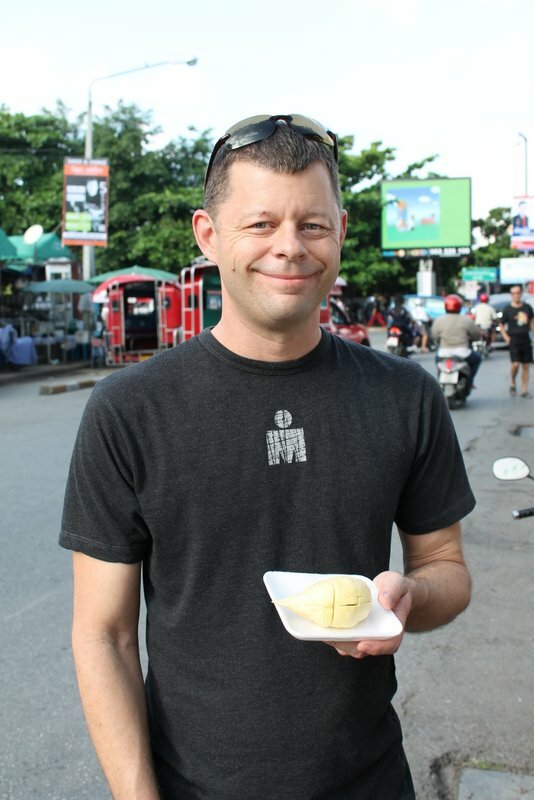 And there are people selling durian everywhere! 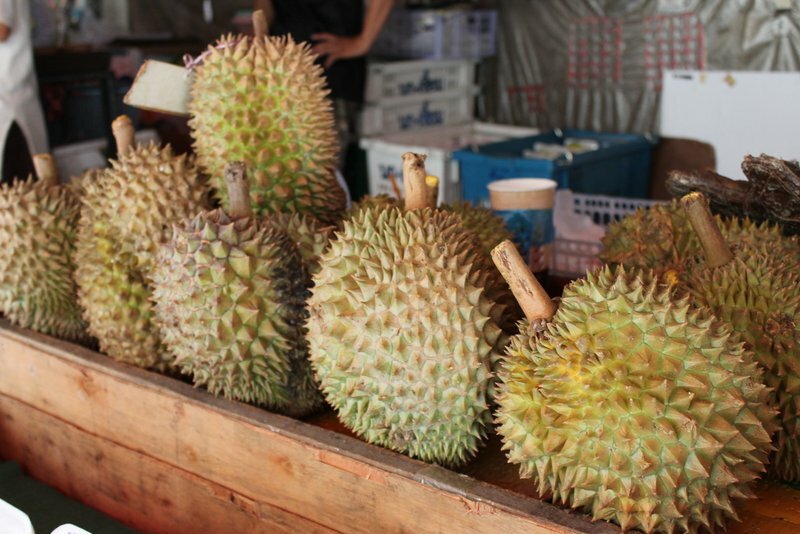 If we’d grown up in Southeast Asia, we would probably love this fruit and not even think twice about eating it. As an outsider, it seemed too strange. Despite all this, one afternoon Chuck and I decided to be brave and try it. 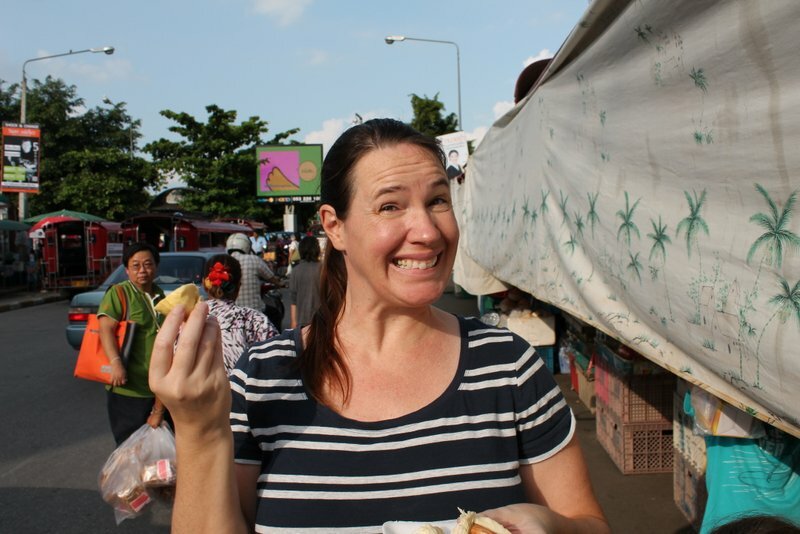 We went to a fruit vendor at Warorot market and asked for a small piece. He cut some fresh for us and we reluctantly took a bite. The verdict: Not so bad. The fruit itself didn’t really smell much. 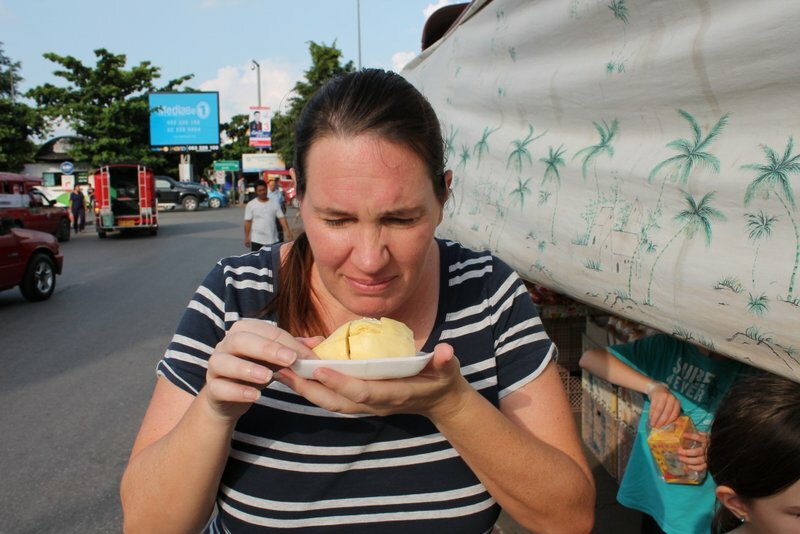 The taste was hard to describe but the texture was a cross between a banana and custard. I actually didn’t mind the taste but the texture ruined it for me (I’m not a fan of custard). Chuck ended up eating more of it but neither one of us finished the whole thing or ever needs to eat it again.